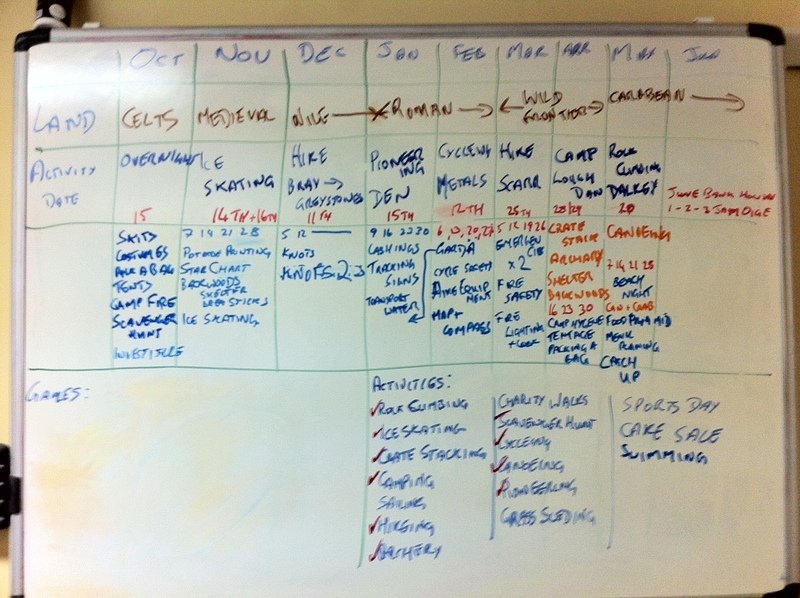 Thanks to all the Sixer who took part in the programme planning for the year ahead. Please see below image of the board as we agree. Yes Thanks very much for all the sixers and seconders who took part in the planning meeting. We have a fantastic line up of activities for the year ahead! Well done. I also enjoyed the overnight at the Den, despite the rain the smores were delicious!